Apple announced on its Investor Relations page this afternoon that it will release its Q4 earnings Oct. 25. In typical fashion, Apple releases its earnings in a press release at 4:30 p.m. after the market closes and follows with an earnings call with key Apple executives at 5 p.m. 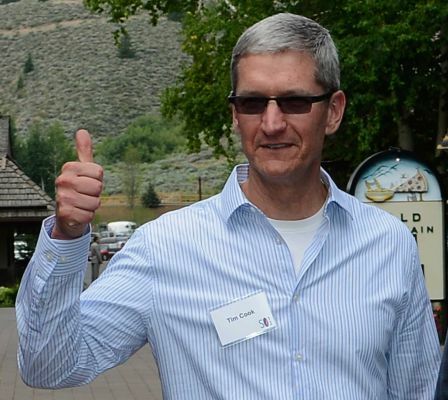 This quarter’s call will be one to tune in for, as CEO Tim Cook will surely discuss iPhone 5 sales and more. You can listen to the call on Apple’s website, and as always, 9to5mac will provide full coverage and analysis when it all goes down. During Q3’s earnings call, Apple CFO Peter Oppenheimer said, “Apple expects Q4 revenues of about $34 billion and diluted earnings per share of about $7.65.” Apple announced revenues of $35 billion and diluted earning per share of $9.32 in Q3.